We are delighted to be partnering again with Goodreads.com on their giveaway section! 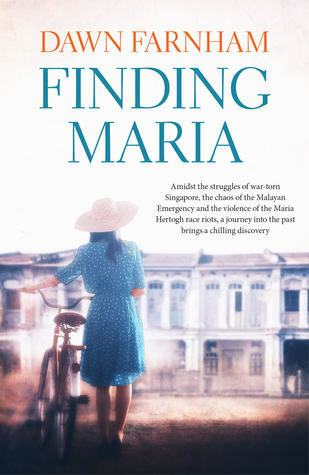 Until the 25th October 2017, you can enter to win a copy of Finding Maria by Dawn Farnham – before the book is published. The book, a tale of a mother’s quest for her child is an addictive read set in 1950s Singapore. This is for UK postal addresses only. Giveaway ends October 25, 2017.